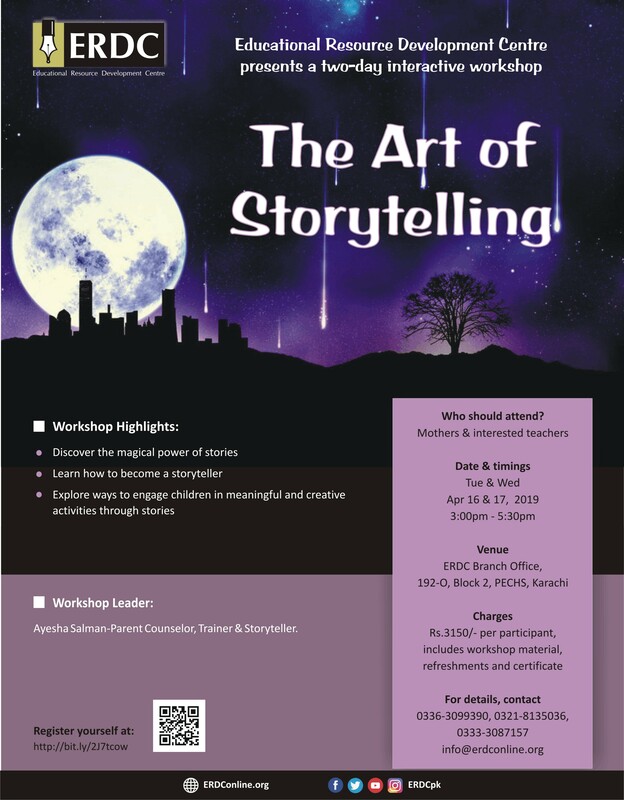 Rhymes provide an important literacy experience, and exposure to classics is something no child should miss. 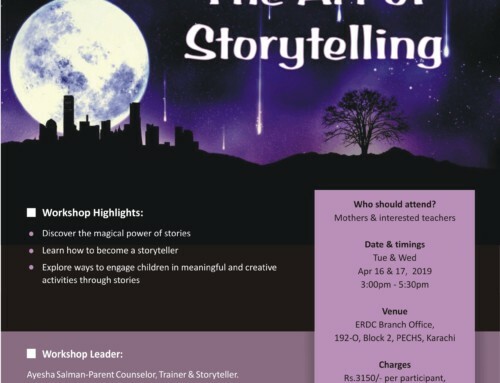 They can be a source of enjoyment and learning for young children. 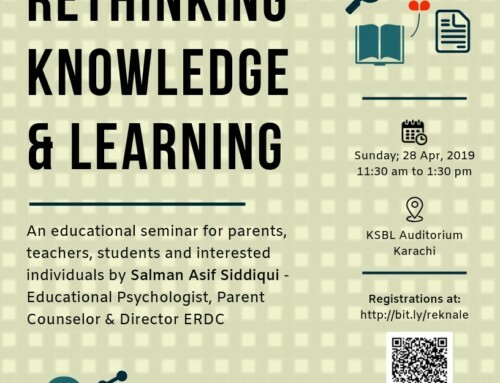 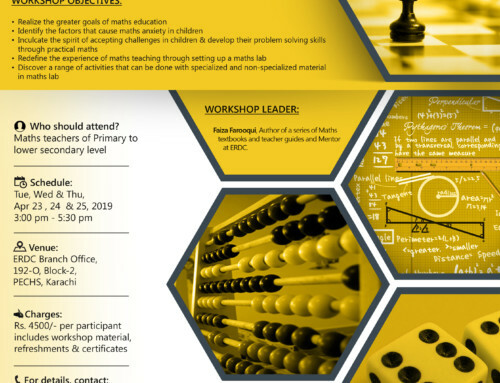 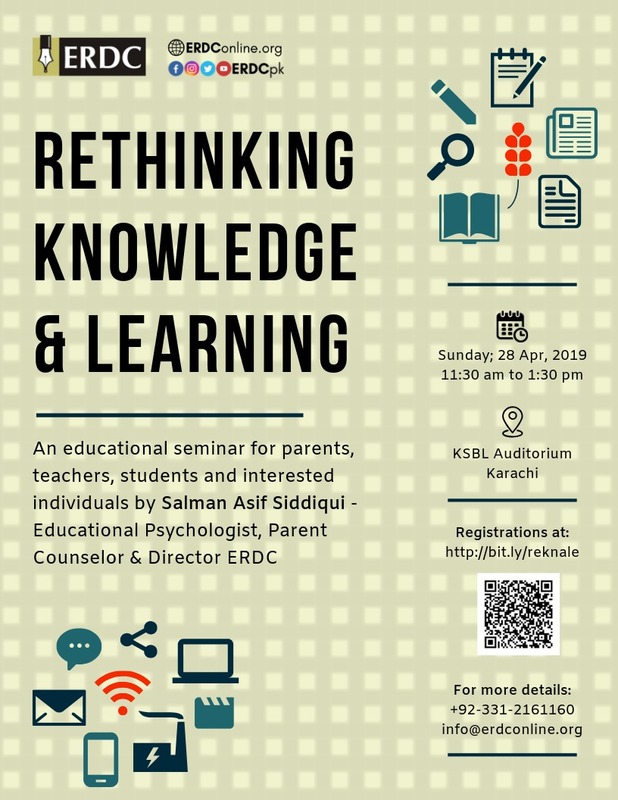 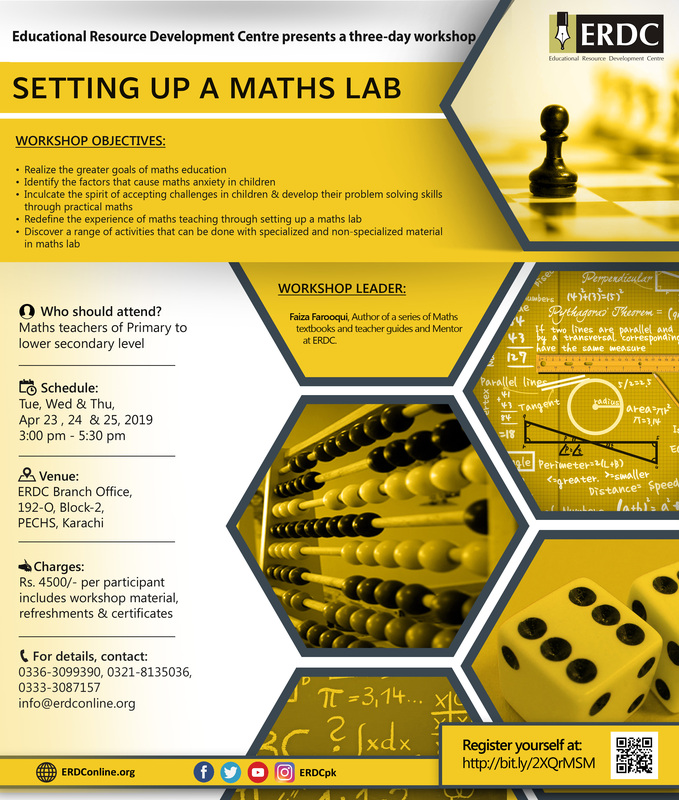 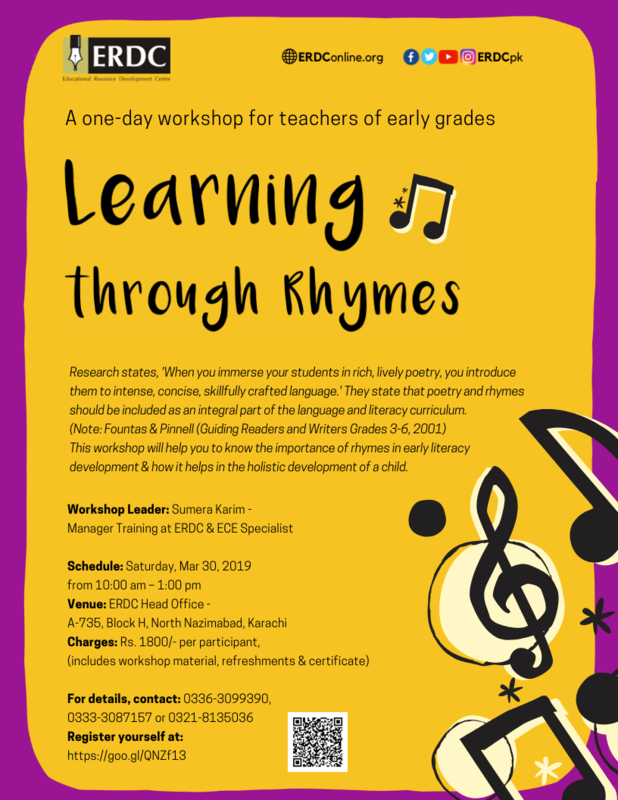 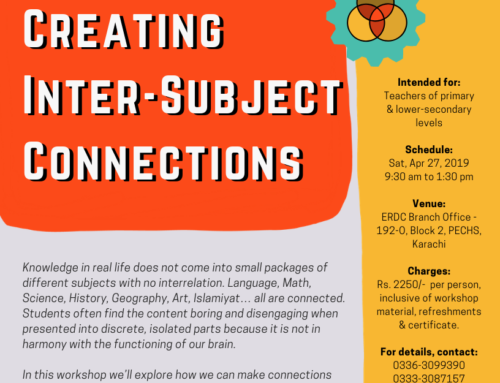 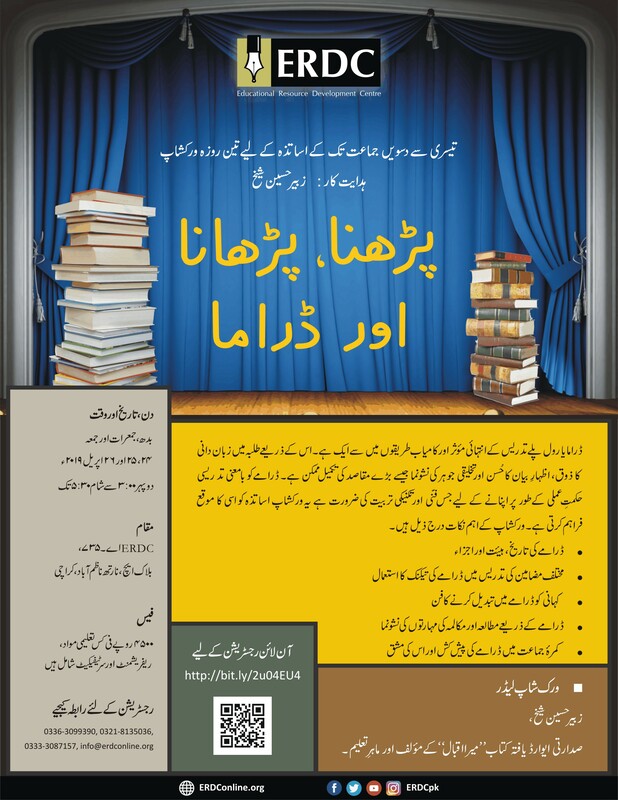 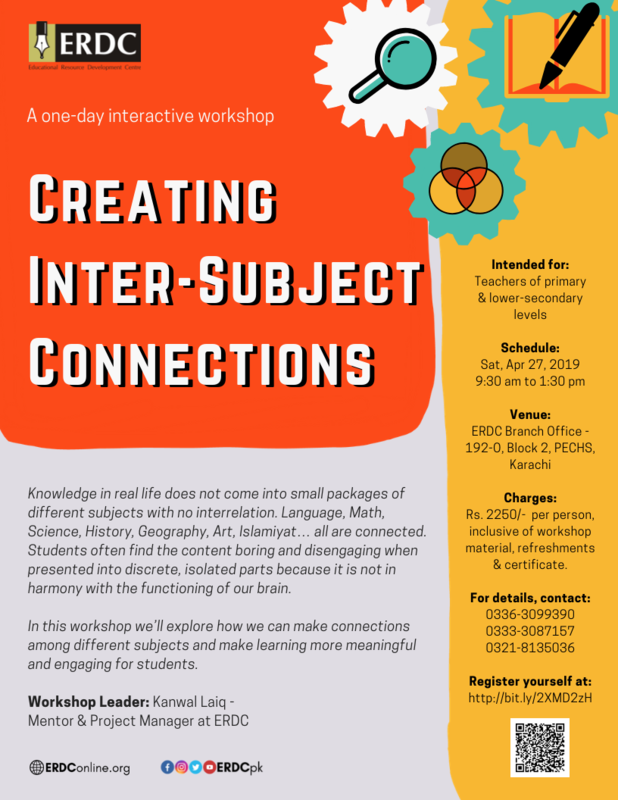 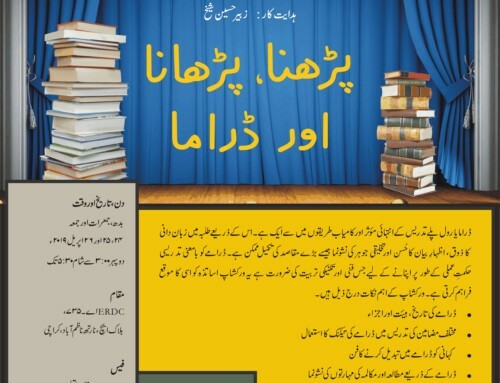 Erdc presents a one-day interactive workshop for ECE facilitators on ‘Learning through Rhymes’ to be conducted by Sumera Karim on 30th Mar from 10:00 am to 1:00 pm at ERDC Head Office North Nazimabad.